Witchy Words: Coventry Creations 25th Anniversary! When I was contacted by Breanna over at Coventry about reviewing some of their products, I was delighted. I already know their candles are top notch from experience and was excited to add a few more to my collection! Jacki, the founder of Coventry Creations, loves candles. In 1991, fate led her to a small candle-making shop in search of supplies for holiday gifts. After a slew of candles she created in December of 1991, she sold her very first candle in 1992. When she created her first batch of candles, they sold out quickly. Inspired by herbalists like Paul Beryl and Scott Cunningham, Coventry Creations began as a small operation in Jacki's kitchen using just PVC pipes and caps as the molds (though it quickly moved to the basement after a 10 pound wax spill!). Candles included Happiness (yellow), Ganesha (burgundy), Dragon's Blood (dark red), Sacred White Sage (white) and a full-sized Money Draw Blessed Herbal Candle. It wasn't long before business boomed and Jacki's sister, Patty, came on board. Patty and Jacki are the ying to each other's yang. Jacki is an extroverted, ambitious and inspired witch while Patty is an introverted, cautious and subtle healer. But they also have their similarities, such as their love for spirituality, their award winning writing and their candle-making skills! The package also included their brand-new Witches Union line. In the 90s, the New Age market was craving a product just like the sisters produced: Something hand-crafted, local, family-owned and positively magical. When business boomed and the duo expanded, they kept in mind the needs of their product and their employees. Their motto in production is passion, excellence, tenacity and openness, creating a settling where employees are more like family - and some actually are! Coventry Creations strives to teach self-empowerment and create spiritual authenticity by encouraging employees to set up sacred spaces and altars in the workplace. These magical locations and the fact that each employee lives the magic every single day empower each candle created! So how exactly do the candles work? Coventry Creations is fully aware that the magic is in you. 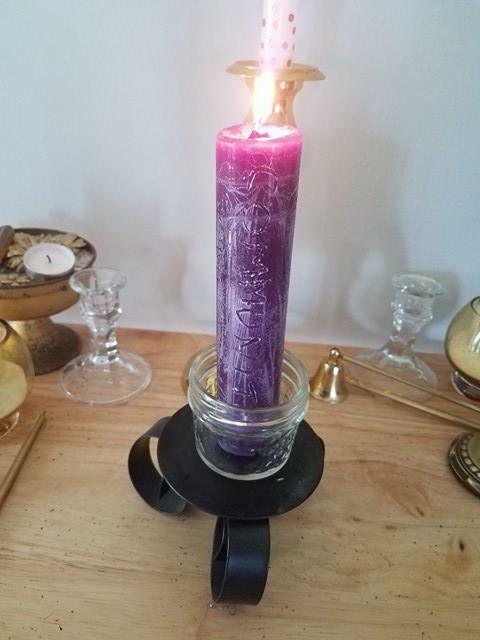 They believe that the candle serves as a catalyst, opening the door for change and training your energy to respond in new ways. Each candle connects to that subconscious part of us, matching physical with mental with spiritual to create real change. Jacki and Patty utilize the moon's progression through heavenly bodies, its phases and more to fine-tune the energy in each candle, ensuring the success of your next much-needed spell. 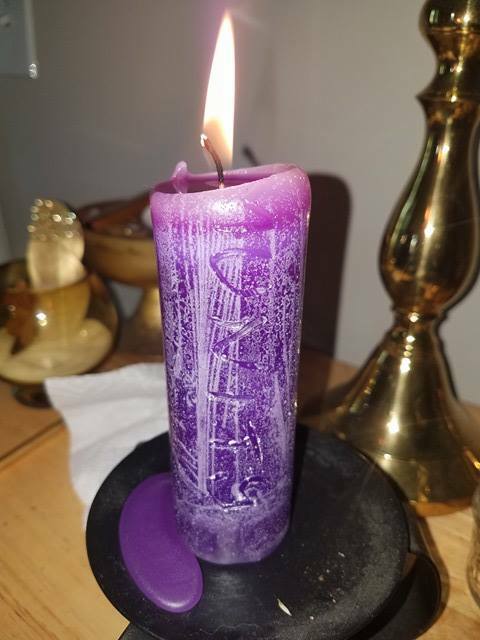 I know that every Coventry Creation candle I've used has worked without fail every time. Coffee mugs, journals, matches and more! It even includes your own membership card! These light-hearted and jocular products are meant to inspire your inner witch. Everyone and anyone can join the Witches Union because everyone and anyone can be a witch! This coincides with Jacki's vision to help everyone find their inner magic. You can find Witches Union products here and check out their Membership kit here. 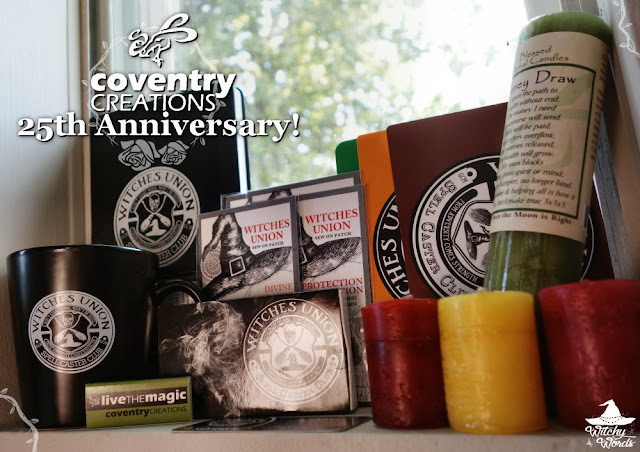 Coventry Creation's products are aimed to help you achieve your goals with magic, love and care poured into each and every candle. Experience the magic for yourself. Check out Coventry Creations today! Want me to review your witchy product? Click here!